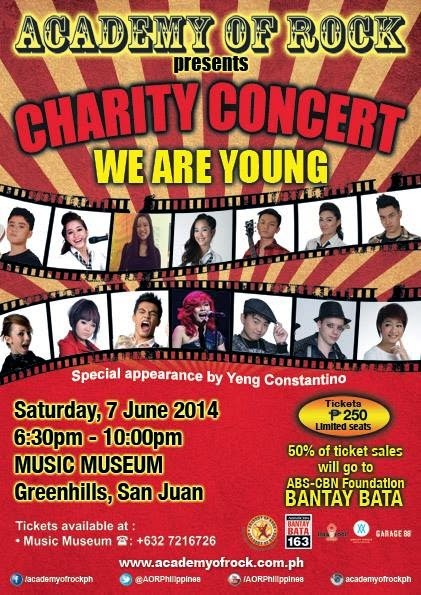 Academy of Rock presents a charity concert entitled "We Are Young " happening this June 7, 2014 at Music Museum. This event will showcase the talented students and teachers from both Singapore and the Philippines. 50% of the ticket sales will go to ABS-CBN Foundation BANTAY BATA. With the special appearance by Ms. Yeng Constantino. 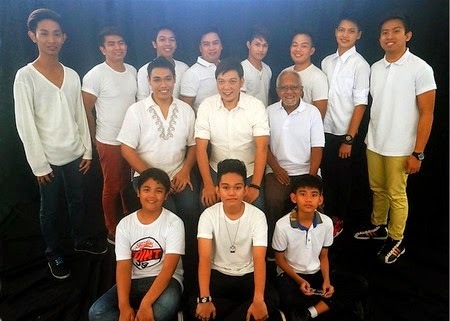 The Batch of 2014, graduates of Gantimpala Theater’s Summer Musical Theater Workshop for Teens and Young Adults, present Kasaysayan ng Isang Ina, the culminating recital production, based on Hans Christian Andersen’s Story of a Mother, with a one-night only performance on May 24, 2014, 7pm., at the Concert at the Park Auditorium, in Luneta, Manila. Written and directed by Jose Jeffrey Camañag, with music composed by RJ Jimenez, Kasaysayan ng Isang Ina is a fairy tale that will be told through and songs and dances as the musical takes it audiences to a place where magic exists and ushers them to the discovery of one of the most powerful magic of them all, a mother’s love.